The first successful round of bidding for exploration and production of oil and natural gas in all the offshore areas of the country was conducted in 1985, when I was petroleum secretary. As many as seven international oil companies had bid for about 10 oil blocks, but none of them found any oil or gas. Under the production sharing contract (PSC), there is a cost- and profit-sharing arrangement between the successful exploration company and the government. The gas utilisation contract has been added in the last few years. The recent judgment of the Supreme Court on the natural gas distribution and pricing by Reliance Industries Ltd raises several important questions. 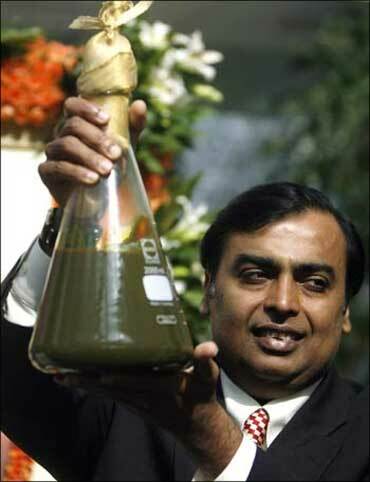 Image: RIL chairman Mukesh Ambani holds a jar containing the first crude oil produced from their company's KG-D6 block. According to the PSC, the oil or gas that is produced is shared between the government and the exploring party. Also, the company's share is determined after taking into account the share of the government, levy of royalty and other charges that will be paid to the government. 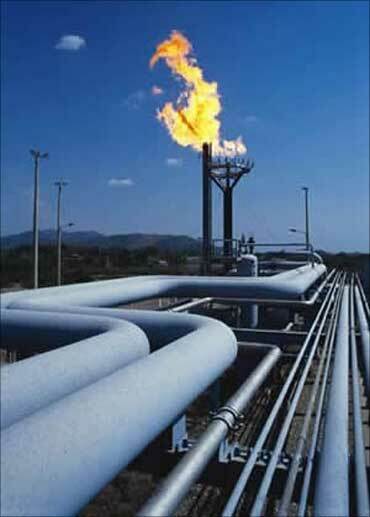 The government also has the right to acquire the company's share of the natural resource (gas in this case) at an agreed pricing based on international prices prevailing from time to time, or as agreed in the PSC. If the government chooses not to buy the natural resource from the company, the company will be free to sell the oil (gas) to any party at a price to be determined by the company. It may sell to a sister oil company or to a third party at a price determined by it. It may sell a part of the oil or gas to the government and another to some other party. The price that the company charges the government may be different from the price it chooses to charge the third party. As an owner of the natural resource, the government could use a price for determining the share of the private contractor, or for determining tax liability but could not force the private contractor to sell his share to another private party at a price determined by the government. In the present case, the government fixed a price of $4.2 per million British thermal unit of gas but RIL agreed to sell the gas at $2.34 to NTPC, which is a government company. 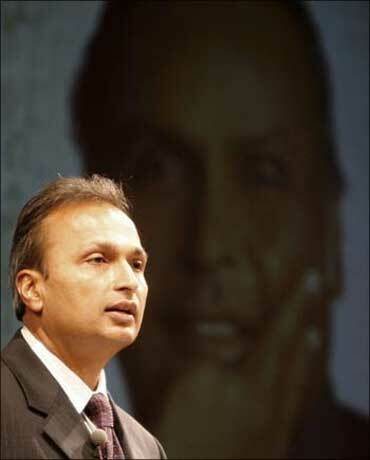 The remaining part of the share of gas belonging to RIL can be sold by the company to a party at a price of its choice. If it chooses to sell gas at $2 per mmBtu, it is a contractual arrangement between the seller and the buyer. 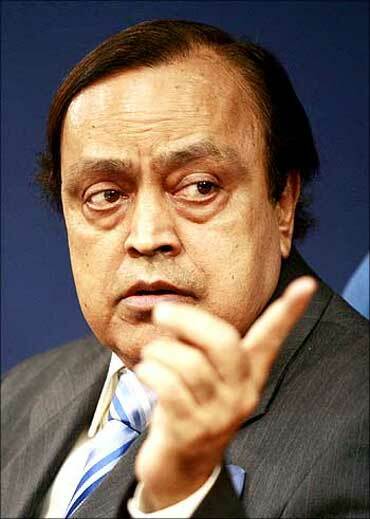 Image: Minister of Petroleum and Natural Gas, Murli Deora. In exercising its sovereign right over the gas, the government has already taken its share of the gas and paid to RIL, a pre-determined price under the PSC. Having paid the government its dues, RIL will be free to sell the gas to any party of its choice and at a price agreed by it to the third party. This arrangement will come into operation only after the government has exercised its right and has agreed to pass on the company's share of gas under the PSC. The government cannot exercise the sovereign right twice over, once in determining the price, in which it will get its share, and again in fixing the price at which the company can sell its share to a party of its choice and at a price of its choice.